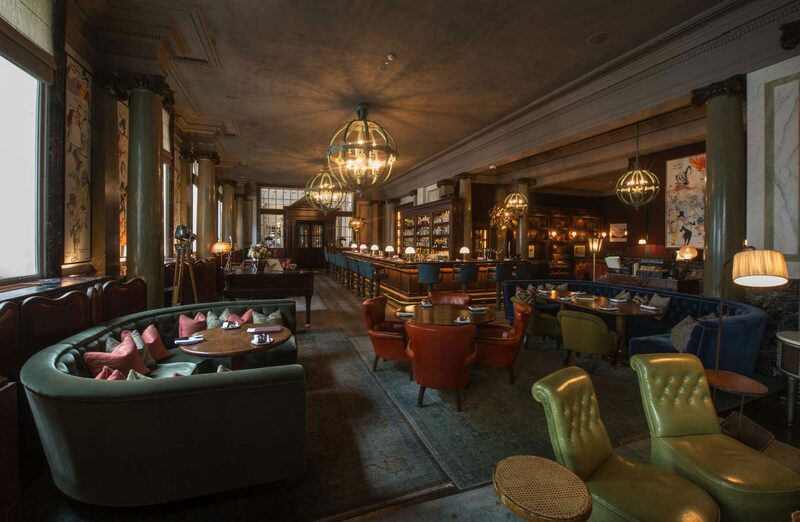 Working to a Martin Brudnizki brief, Dernier & Hamlyn produced the bespoke lighting for Scarfe’s bar at Rosewood London, known as one of the most exciting places to drink and dine in London. The hotel’s interiors draw on classic British design and culture so we were the natural choice for this stylish project. The bar features Dernier & Hamlyn crafted globe chandeliers, some 2m high that have been hand finished with a stunning verdigris effect. 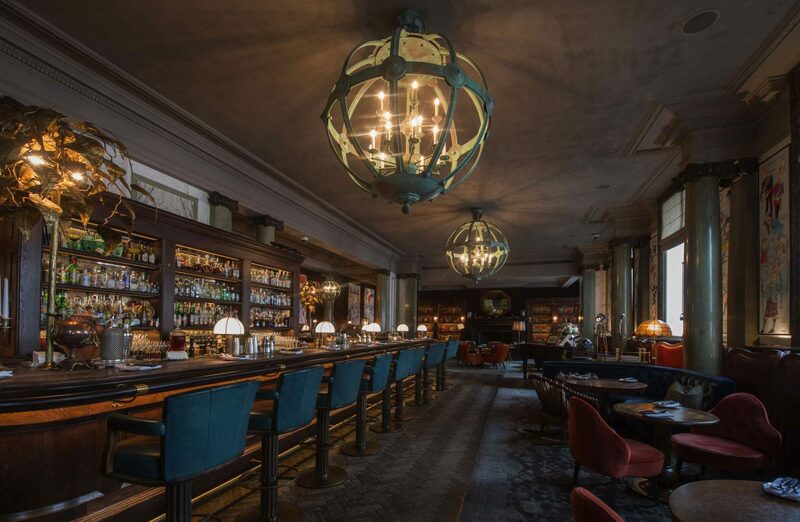 They are complemented by lamps with bronze bases and opal glass shades that add a further dimension to the wooden bar that runs the length of this convivial room.